…and dictates the content of all technical documents, such as the system design, build specification, test specification and support plan. Project managers rightly apply engineering disciplines (design engineering, production engineering, test engineering and logistics engineering) to assure themselves of the quality of the associated technical documents, yet the need to apply an equally rigorous discipline (RE) in order to ensure a similar and measurable level of quality in the source of all technical documents – the SOR – is regularly ignored. How does RE fit in with other Requirements Handling activities? - Requirements Capture extracts and records raw requirements information from documents or from the minds of subject matter experts. 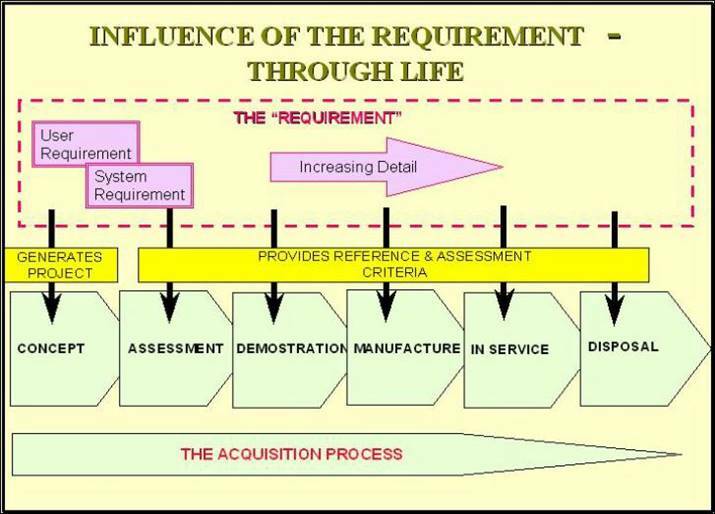 - Requirements Engineering translates raw requirements information into a metricated complete, correct, coherent and consistent Statement Of Requirements (SOR) of measurable quality. - Requirements Management provides traceability and change management facilities for the SOR throughout the project life-cycle. The G-MARC methodology ensures the application of a logical combination of Requirements Capture, Engineering and Management to significantly reduce risk throughout the project life-cycle. Applying only conventional Requirements Management techniques to a SOR of unknown quality results in a significant and unquantified risk to the ability to bring the project to a successful conclusion. 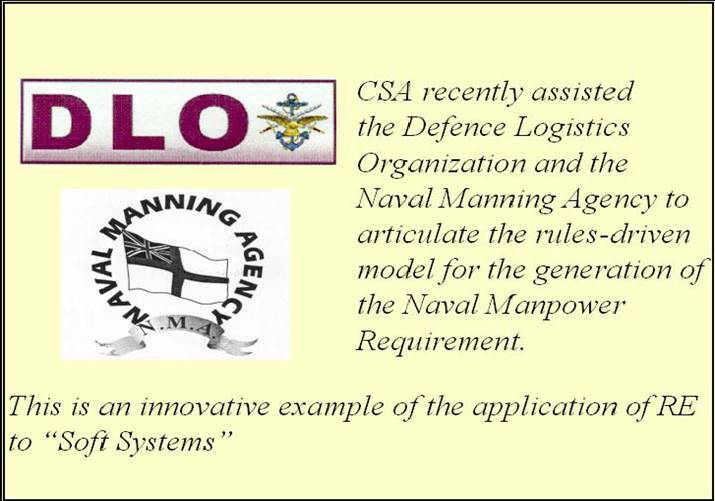 CSA’s consultancy activities, are devoted to the elimination of such risk.